Memorial Day/Start of Summer Wine! This white Bordeaux blend (80% sauvignon blanc, 20% semillon) is what I pulled from the fridge when my neighbor decided to have a backyard wine & cheese party to celebrate Memorial Day and the start of summer. 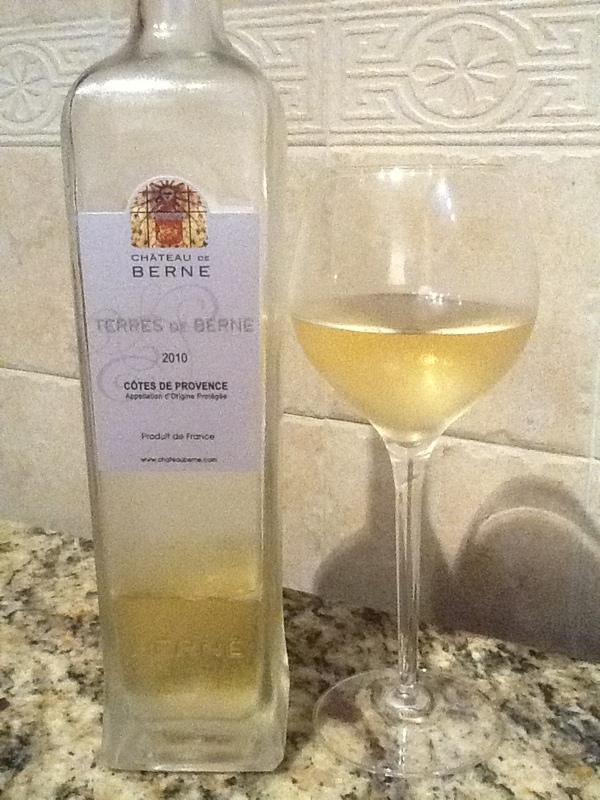 We popped it open and passed it around, enjoying the the yellow-green color, nose of grapefruit, and the flavors of lychee, melon, and citrus that dominate this fresh, fun wine that is a perfect for an afternoon in the sun. 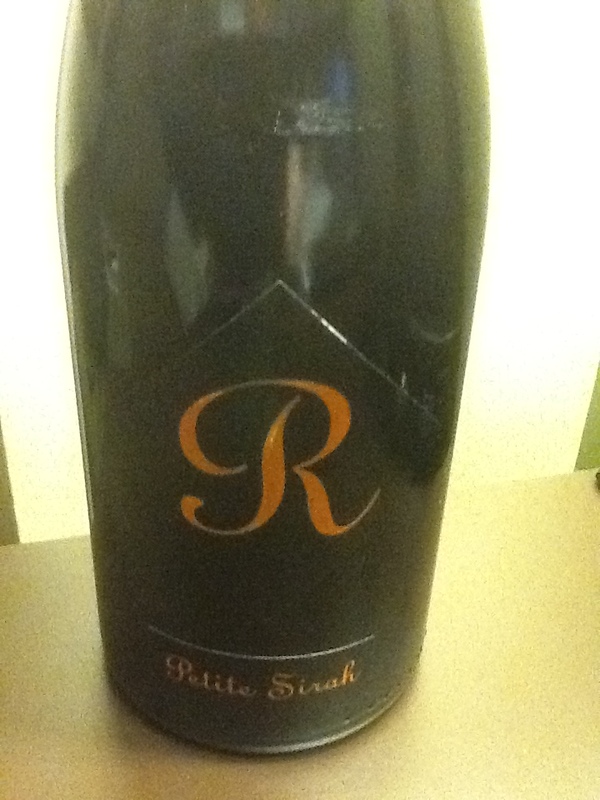 I source this from Sherry-Lehman Wine in NYC, and it lists for $12 and the ad says 100% sauv blanc. Well, they charged me $10 (it’s on sale) and the wine is most definitely a blend of sauv blanc & semillon acording to both my palate and the back label on the bottle. Less worry, more fun. My neighbor said it well: “If you’re buying more of this, get me three bottles.” It’s delicious, everyone enjoys it, and its a bargain. Whats not to like? “Thanks for enjoying my blog! For white wine, there’s a huge amount out there. -Any specific grapes you prefer? -Any region or country of origin you prefer? -Have you found some grapes or wines that you know you don’t like? -Any price point/range to stay within? What fun we could have walking through a wine store and discussing pros and cons of various grapes and wines. Since that wasn’t possible, we’ll have to try it with simple response and a few web links. 1) The white that first comes to mind in terms of your descriptors is one I keep on hand all the time for my wife Annette: a dry riesling, which is inexpensive, easy to drink on its own and pairs with just about anything. Her favorite brands are Clean Slate and Relax, both are German wines from Mosel and are easy, semi-sweet wines that are $9-11/bottle where I buy them. 2) Next, a Loire Valley wine from France I’d suggest considering that matches your description is Vouvray (the grape is chenin blanc) and has the same flexibility as the dry riesling (having a touch of sweet and nice acidity to balance in the mouth). My favorite, called Domaine de Vaufuget, is usually around $10/bottle and also easy to find. 3) Now, this is too dry, but I think you might enjoy knowing about it. My personal favorite white wine to cellar and serve for special meals is sauvignon blanc over $30/bottle, so I don’t drink it often though I keep several bottle on hand and buy it direct from the California manufacturer: Modus Operandi’s Sauvignon Blanc. 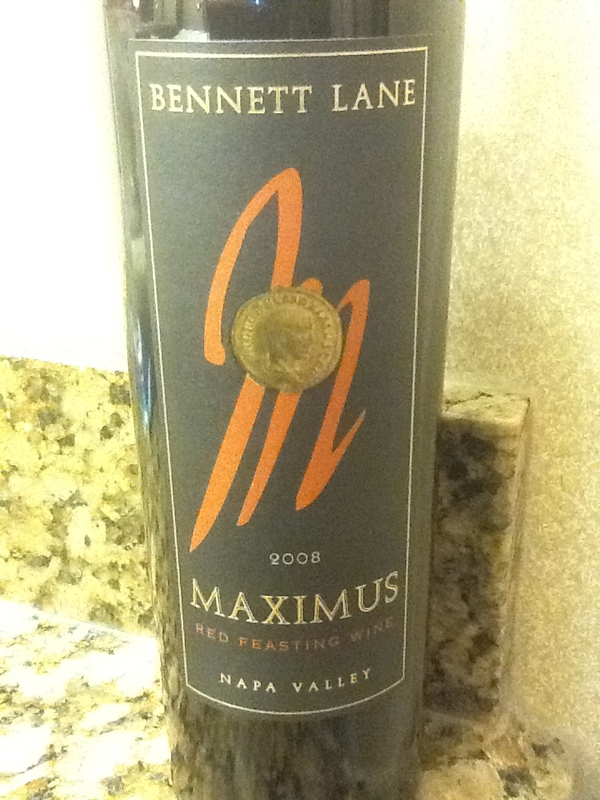 (Have I ever mentioned the delicious Napa cabernet sauvignon that had the essence of chocolate-covered strawberries on the finish?) This is from that same, amazing winemaker!) 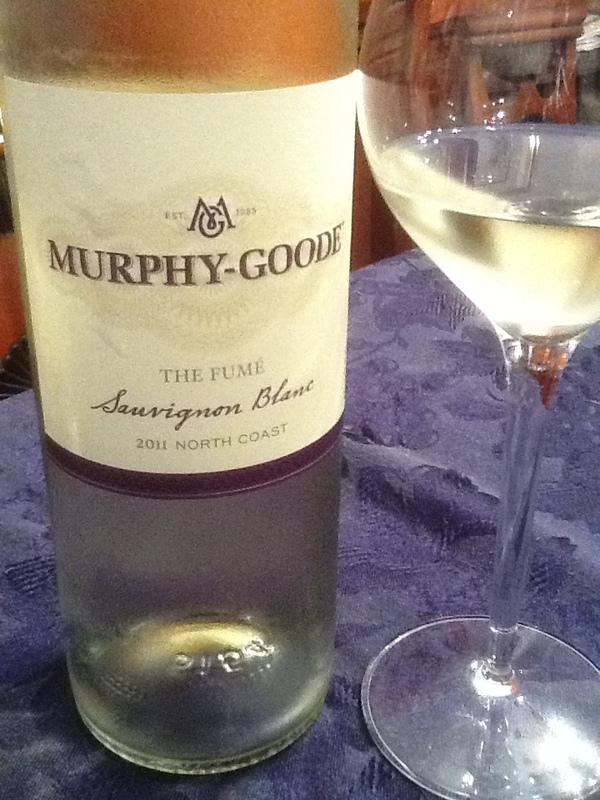 This sauv blanc reminds me of a great white bordeaux blend with the finest of California and New Zealand grapes. I raved about it here back in July. 4) On the “high” end of the white wine spectrum, there are two wines I look to: White Bordeaux blends and White Burgundies. These can start in the under-$20 and head upwards from there, with some of my favorites being $60 and up (often limited to very small quantities!) They are subtle and complex, offering incredible structure in their delicacy. These are great wines to try, they usually have a lot of citrus, pear and apple but are not very sweet. 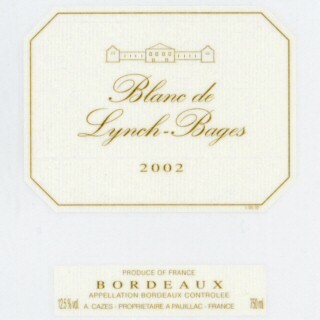 Entry-level white burdgundies might include Laforet Chardonnay by Drouhin, or Les Charmes by Macon-Lugny. 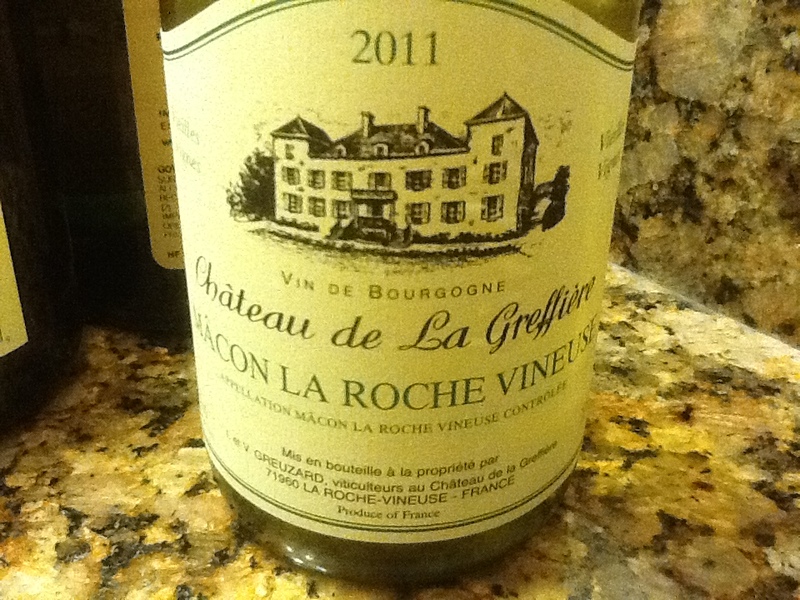 Both are in the $11-13/bottle range, a great entry to white burgundy. These are chardnnays that don’t have a lot of butter or oak, but are on the crisp side and are good by themselves or wonderful with vegetarian fare and fish dishes. The next grape in this category is called Aligote, which would be something nice to try if you like one of the less expensive white burgundies -that link will give you ten examples at one of NYC’s bigger stores, with prices from $11-28. 5. 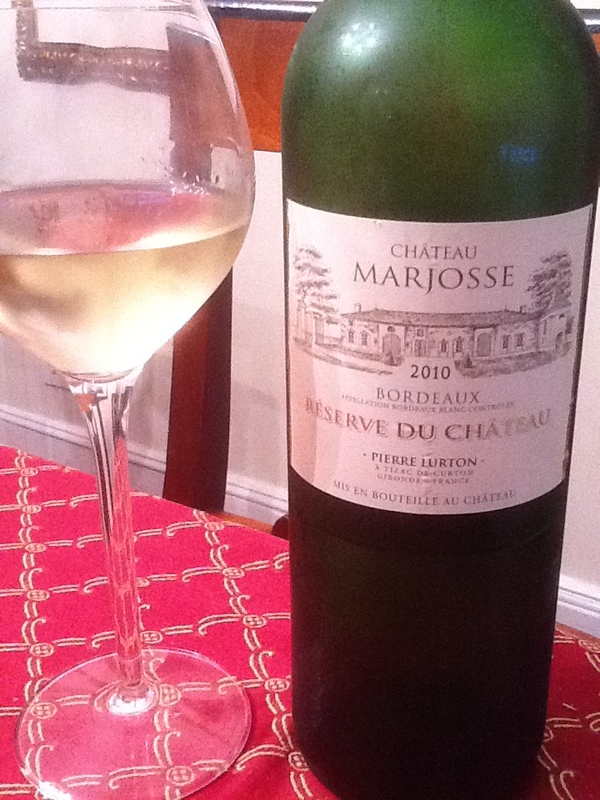 For white bordeaux, there are two easy, entry-level white blends (just about every Bordeaux is a blend, so you get the best characteristics of several grapes, such as sauvingnon blanc, semillon, and the sweet muscadelle grape- to create a very flexible white table wine. 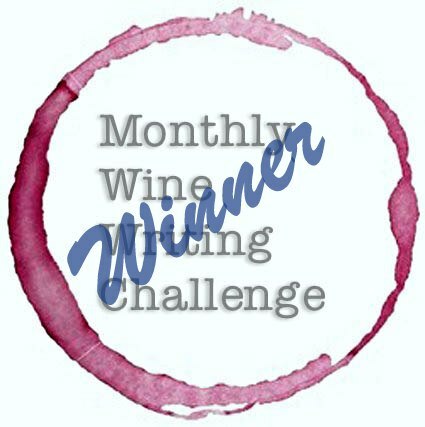 Lamothe de Haux and Mouton Cadet Blanc are two white bordeaux in the $10-$12 range that are great entry level Bordeaux whites I trust very well. 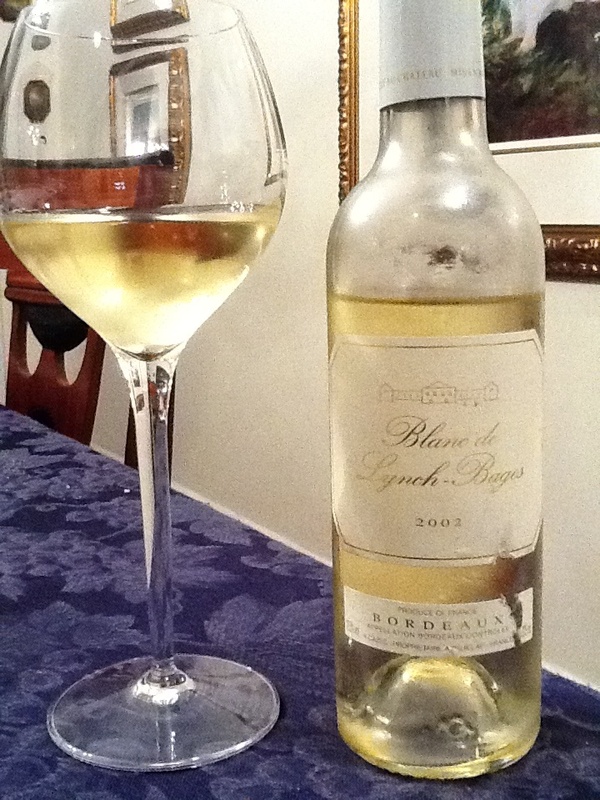 If you are ever looking for a higher end white Bordeaux for a special meal, there are great, subtle, well-structured wines like Chateau Corbonnieux , Blanc de Lynch-Bages, and Smith-Haut Lafitte, which are my three favorite white bordeaux wines hands-down, and I’d be remiss in not mentioning them. 6. While it doesn’t have much sweetness, I’d be remiss to not even mention Pinot Grigio, which is Italy’s biggest export and the USA’s biggest wine import. Pinot Grigios are usually crisp and dry, and are very popular to drink at cocktail parties. Not much sweetness as I mentioned before, but worth tasting and considering if you like the grape in general and should consider it when you are pairing. The easiest to find Pinos (just about everywhere) are the Santa Margharita, about $20, Ruffino Lumina (about $13) and from California is Woodbridge Pinot Grigio that is a little more sweet and about $9/bottle. 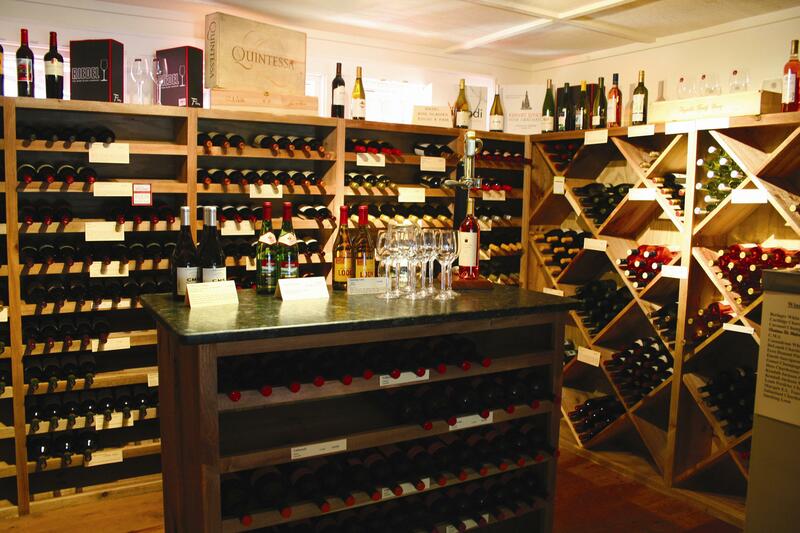 While it would be much more fun to peruse the aisles of a fine wine store together, pulling out several bottles for WB to review and choose from, I hoped my suggestions would be welcome and helpful in her selection of thoughts about what to buy. You’re quite welcome, WB! I’m always happy to be of service, and thanks for reaching out! If you have a question or topic you’d like me to address, you can DM me at JvbUnCorked on Twitter, or email me privately at jvbuncorked@gmail.com. This is a ‘proprietary’ white blend from Rutherford, California’s winemaker Jon Bolta. The color is pale yellow. As a blend, I expected it to have some depth but the nose is not only complex but slightly confusing: chamomile, honeysuckle, citrus, and hints of ginger and jasmine pour forth from this delicious-smelling mixture. The palate matches the name perfectly. The first sip provides a touch of sweetness with some acid bite, a little rich, savory buttery quality which finishes with a touch of sweet bitterness. I had to stop and begin my tasting again to pick out a few elements from the palate: pear, apple, grapefruit, lemon peel, honeysuckle, fresh cut hay. I sensed little minerality, -not because it’s not there-, but because the floral and tropical flavors masked more subtle elements in the mix. My fourth reaction to this wine after grasping the forward elements, was that this wine IS a blend of delicious grapes: I suspected they are semillion, chardonnay, pinot grigio, and sauvignon blanc- to me, it tasted like a Semil-Charda-Grigio-Sauv. 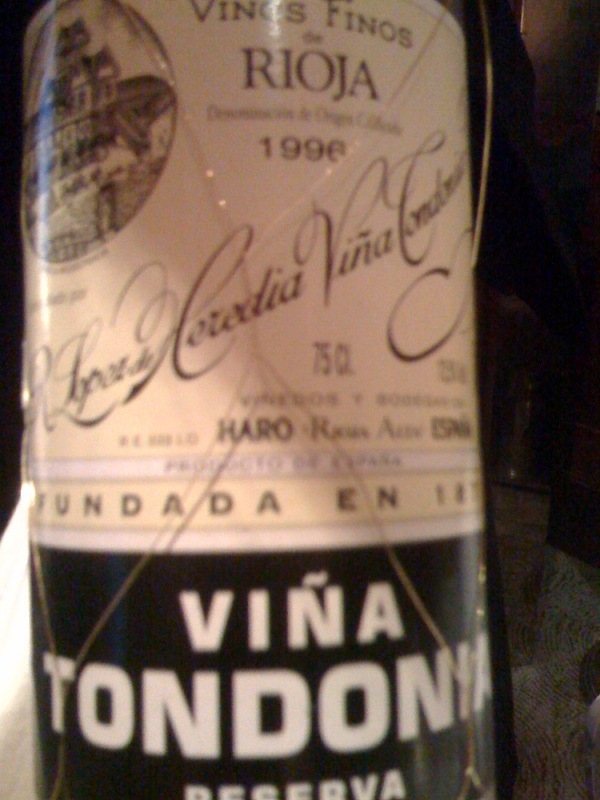 I only came to this conclusion based on the experience of the mouthfeel, with these notes: “sweet, acid, a tiny sour, a little bitter aftertaste, yet there is a sense of some new oak, some buttery fullness that is offset by the crisp acidity. Hmmm. This is like a painting that needs to be seen again, taken in again by multiple viewings”. Wow. 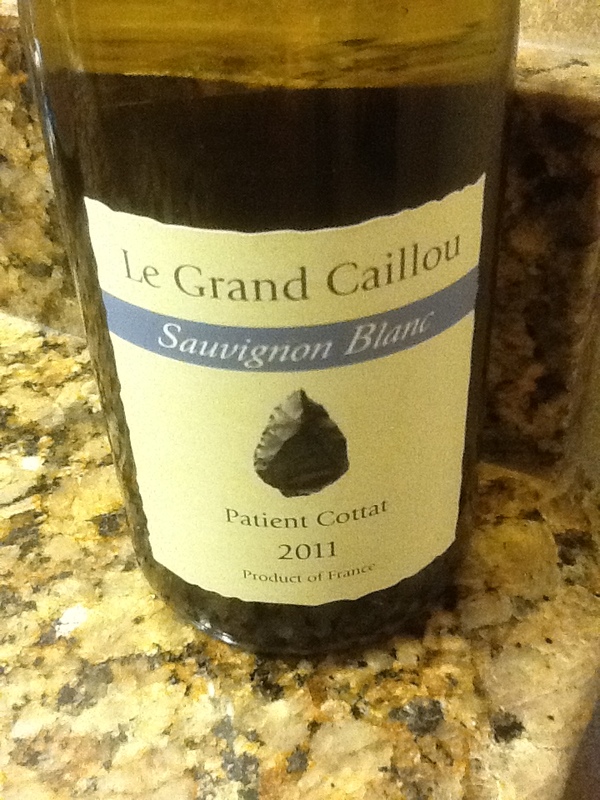 This is an unusual and impressive white. I think Jon Bolta and Jason Moore of Modus Wines would have an amazing conversation over their favorite blending techniques and approach. Something I noted as we enjoyed this wine with baked tilapia: I felt the bitter aftertaste was more prevalent as the temperature increased, so I’d serve this wine very cold and I returned the bottle to the freezer between serving half-glasses. 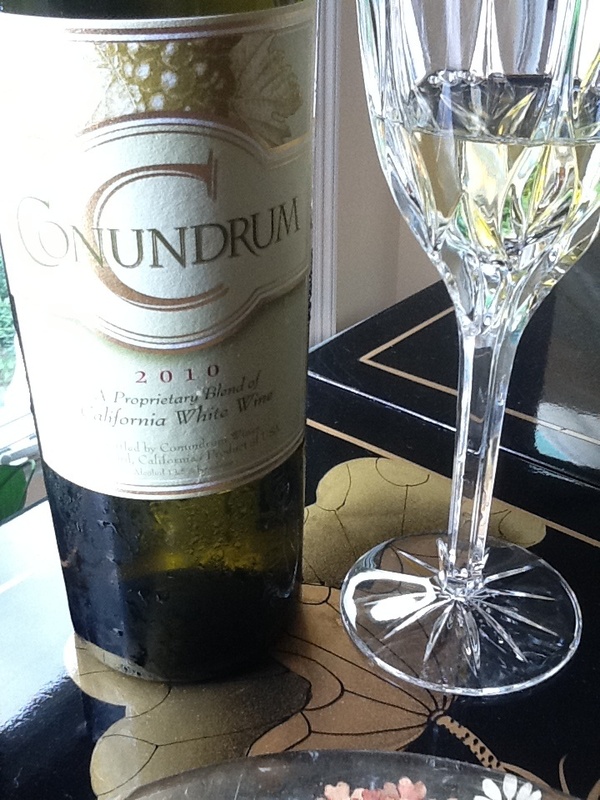 I did enjoy Conundrum a great deal, and feel the blend is one that would appeal to a wide variety of both people and pairings, so it might be a perfect wine for Thanksgiving, or a great choice for a restaurant meal when you need a white to pair with several different main courses. I purchased at $16/bottle in a grocery store, and have seen it online from $12-22/bottle. The white lists at $22 on the Conundrum website. 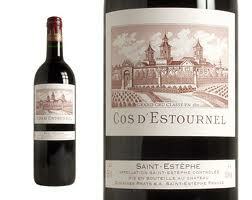 Over 90,000 cases of the 2010 were made, so you should have no problem finding this locally. The Wagner website is linked here. 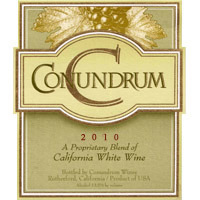 and a cool youtube video on Conundrum wine is here! 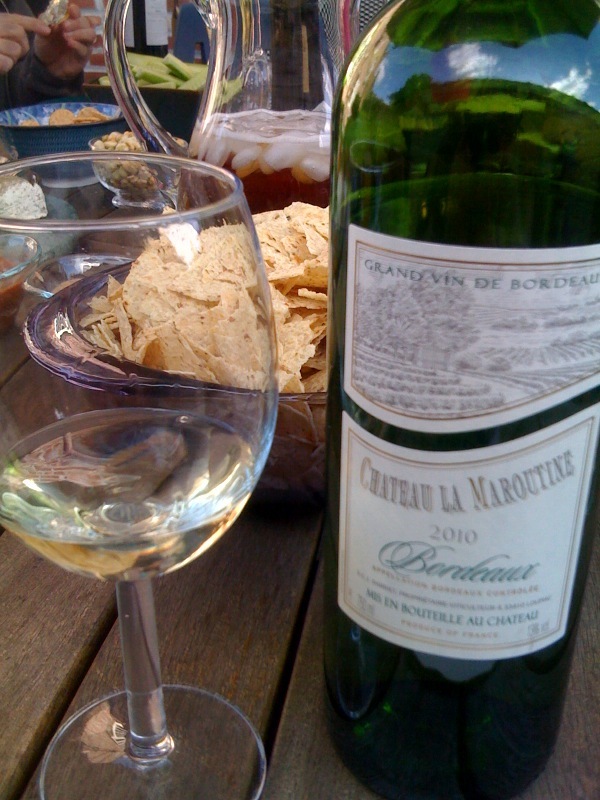 A gentle Sauvignon Blanc and an introduction to Sauternes! Chateau de Fontaine-Audon 2010. 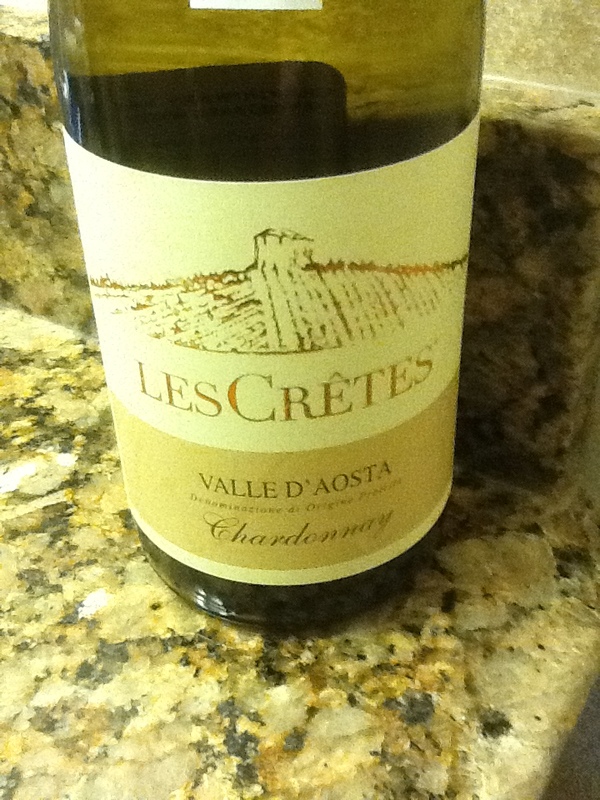 A pale straw color, very fresh & light white, nose of lemon and grapefruit, slight lemon forward on the palate. It’s subtle, gentle (all Sauv blanc grapes) with minerality that really tastes of flint, from the local terroir of the eastern Loire valley. It’s yummy, delicate- a real apertif wine. Pairs well with milder cheeses, crudite, dried or cut fruit and can go with entrees but best on its own before the meal (hence apertif) or with an appetizer course. I served this recently for cocktails and it was perfect, everyone enjoyed it and as we started dinner we moved to a Sauvignon Blanc from another region with more punch to pair well with the meal. A lovely bottle when you need something gentle, sophisticated, and relaxed. About $20/bottle. Pictured on the left of the photograph. –Sauternes is a classic “dessert” wine even thought it’s famous for being served at the start of a meal during a savory appetizer course. It’s a very sweet wine, grapes are grown specifically to grow the fungus Botrytis Cinerea which causes the grapes to partially raisin- also known as ‘noble rot’. To make this sweet wine, the maker stops the yeast’s process mid-fermentation which allows a high sugar content in the mixture. -This wine is classically paired with either dessert course, or early in the meal in a small and savory course with a specific, rich flavor- such as fois gras- (goose liver pate) as an appetizer, where I feel it has its greatest appeal for pairing. Cleansing the palate after a very rich bite, a Sauternes has sweetness and crisp acidity which demonstrates the massive difference between the two – and the mouth’s response to the savory and it’s shocked reaction to the sweet- is a spectacular human reaction which can cause great joy especially in foodies! It’s an amazing combination, and when fine restaurants offer fois gras as a course they often offer a Sauternes by the glass to pair- and this is absolutely the best time to try this pairing– in a restaurant that has spent careful time evaluating a great pairing to provide success! -Sauternes wines are made from familiar grapes (Semillon, Sauvignon Blanc and Muscadelle) in the area just southeast of Bordeaux region of France along the river Garonne. 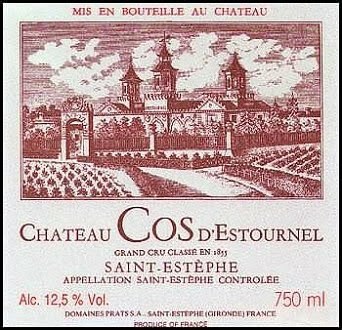 The production and quality creation of this rare wine is very costly and the wines can be highly expensive as a result. Many Sauternes are sold by the half bottle (375ml) but I find a glass to be an even better buy- sometimes as low as $13/glass in a restaurant, when pairing I’m happy to have just a few sips and you might choose to share the tasting process with your fellow dining partners. -Color is one of the obvious factors of a Sauternes. Expect to see either a rich amber, a deep yellow moving into yellow, or the color may drift as far from sunlight towards brass even as far as a deep, aging copper- much like a quality single malt scotch, and the wine is usually paired with an obviously sugary nose. I have been on this tangent too long! Allow me to return to the note! 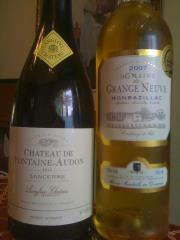 The 2007 Domaine de Grange Neuve Monbazillac is a Sauternes and I saw that it won best in class in ’05 and ’07, then I noticed it was being sold in a 750ml bottle for $19.99- a steal for a decent Sauternes. So I bought it, and tried that night with a blue cheese. Color was amber with a hint of orange sunset. With a nose of honeysuckle, the palate is first gently and then fully sweet, with hints of pear, apricot, and lots of clover honey and gentle acidity for a crisp finish. It’s a very well made Sauternes and is a bargain in the world of French delicacies, when a Chateau d’Yquem starts around $400 for a half bottle, but the lower tier starts for passable examples around $40- so you can see, I find this an excellent bargain at $20/bottle, and a great treat to share. Remember with a sweet wine, a little goes a long way and it’s ideal to pour a ½ serving with a savory course just for a little couple of tastes. I paired this with several blue cheeses and enjoyed it fully, but only for a half glass before I was sated by the sweetness- much like eating a Godiva truffle, a little goes a long way!